Preheat oven to 350 degrees fahrenheit, and grease a 9x13 inch baking pan. Mix together the melted butter and sugar in a large bowl. Mix in the eggs and vanilla. Stir in the evaporated milk and coconut milk. add in the mochiko and baking powder. Stir until well combined. Pour batter into the pan. Gently lift the pan up and tap against the counter surface a couple of times to help any air bubbles rise to the surface. Bake for one hour, until the top is slightly golden and a toothpick inserted in the middle of the pan comes out clean. Allow to cool to room temperature. Remove from pan and cut into pieces on a cutting board. Store in an airtight container until ready to serve. It’s time for another mochi dessert! Pulling from Hawaiian cuisine, this fusion dish combines the texture of mochi with the flavors of the tropics. 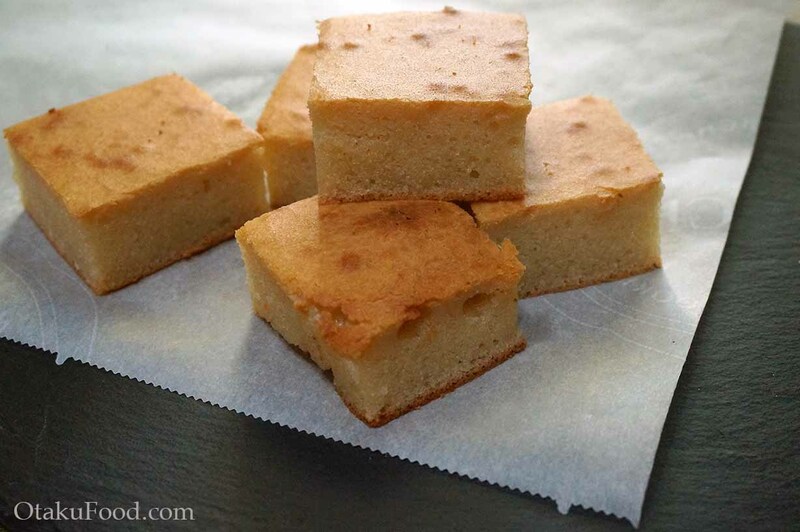 Sweetened condensed milk brings a creamy flavor to these chewy, cake-like bars, and given that you merely pour it into a pan and bake, these mochi couldn’t get much easier! I can’t get enough of sweets, and it seems I’m not alone! The most requested dish I get is mochi, and for good reason! Chewy, sweet, dense rice balls… delicious. Traditional mochi are a worthy treat, but take a little while to make, shaping the dough into balls and adding fillings. 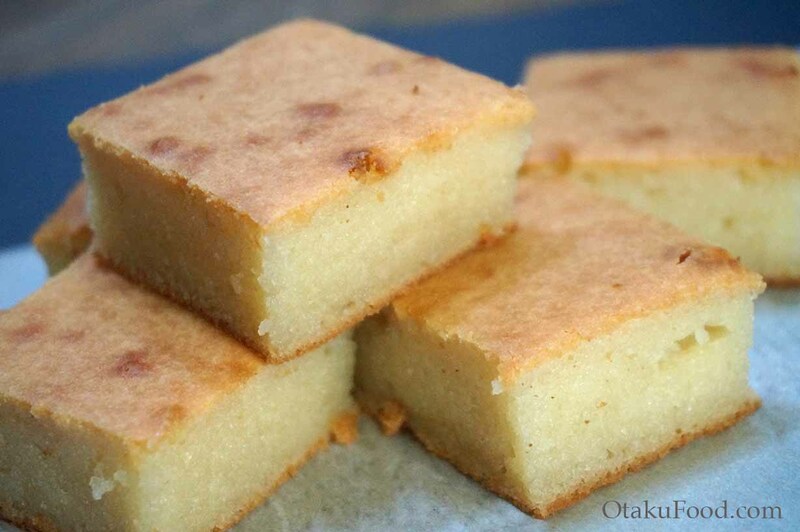 When I want my mochi fix with minimal effort, I fall back on my American roots, I bake a sheet cake! With a lighter texture than regular mochi, these bars are an easy alternative if you’re looking for a quick prep time. To add some added richness in flavor, try sprinkling some coconut on top before baking! 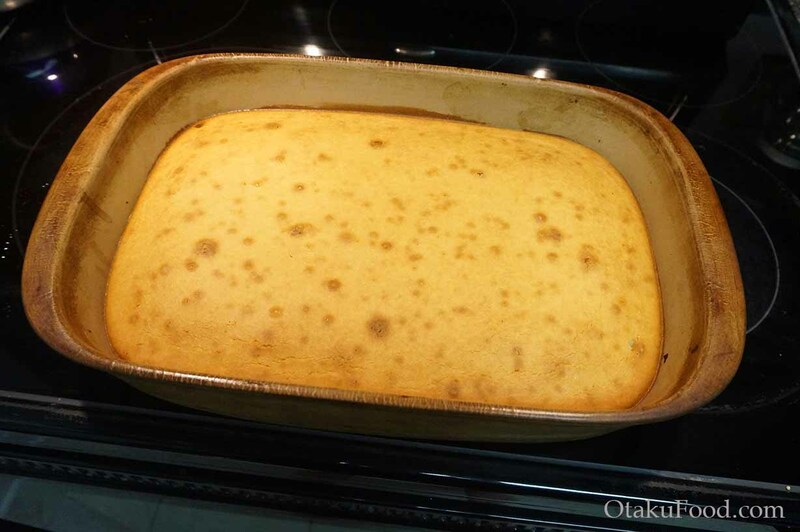 – Preheat oven to 350 degrees fahrenheit, and grease a 9×13 inch baking pan. – Mix together the melted butter and sugar in a large bowl. Mix in the eggs and vanilla, stirring until combined. Stir in the evaporated milk and coconut milk. Finally, add in the mochiko and baking powder. Stir until well combined. 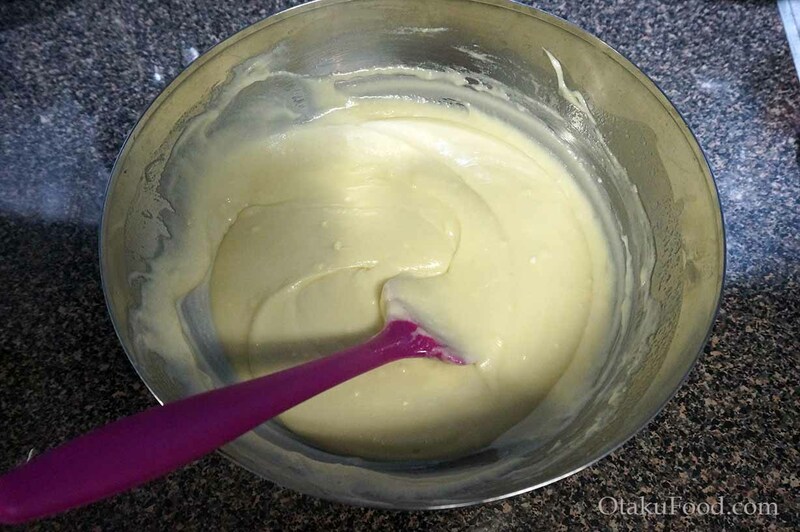 – When batter is well blended, pour into the pan. Gently lift the pan up and tap against the counter surface a couple of times to help any air bubbles rise to the surface. 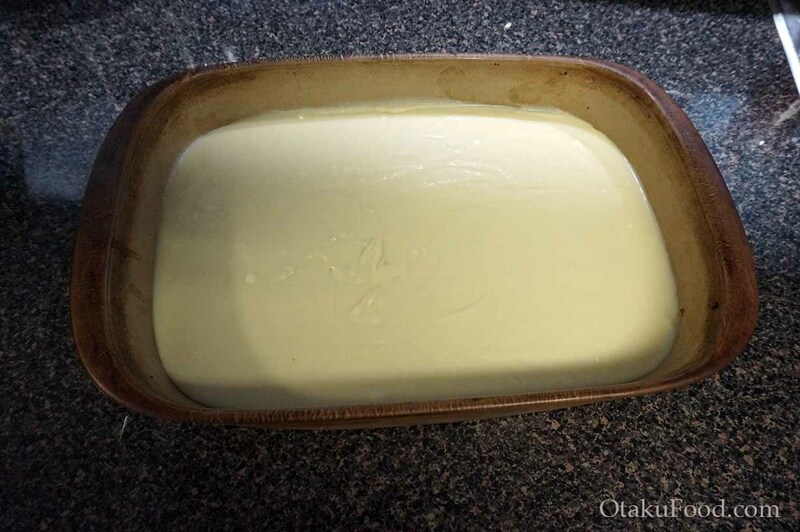 – Bake for one hour, until the top is slightly golden and a toothpick inserted in the middle of the pan comes out clean. – Allow to cool to room temperature. Remove from pan and cut into pieces on a cutting board. Store in an airtight container until ready to serve.